Time to Make IT (information technology) Happen! Making IT (information technology) Happen Then and Now: Have We Really Come That Far? Making the transition from classroom teacher to university professor, it was my role to help preservice teacher candidates in the Schulich School of Education transition their use and understanding of technology. 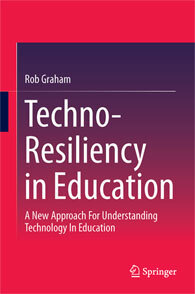 I endeavoured to change my students perception of technology from what I regard as a limited, egocentric use of it (e.g. Facebook), to understanding it as a tool with the potential to connect and vitalize learning and teaching in the classrooms they visited during their practicum experiences and, would ultimately, teach in full-time. Today, my aim is to expand the vision for learning and teaching through my teaching and writing beyond the traditionally accepted chalk-and-talk pedagogy to a learning framework that values diversity, promotes inquiry, and attempts to connect with the experiences and passions of students. I regularly encourage the educators I collaborate with to “make IT (information technology) happen!” Central to this message is the forewarning that making it happen today requires a tremendous amount of vision, pedagogical understanding, resourcefulness, creativity, and passion. Unfortunately, many of the preservice teachers I have instructed over the past nine years reported a considerable lack of these critical elements at their practicum schools. Some even asked me, why technology at all? The image of the jagged and unequal technological landscape that I had to traverse at the onset of my teaching career (more than 22 years ago) endures today. Given the rapid advancement of technological tools in the 21st century, the recognition that educational technology is not embraced by all is somewhat surprising, and disconcerting. As Schaffhauser (2009) observes, “Why is a generation of teachers more knowledgeable about technology than any before arriving in classrooms with little understanding of how to teach with it?” (p. 27). Offering some clarification on the matter, Livingstone (2012) suggests, “The difficulty in establishing traditional benefits, and the uncertainty over pursuing alternative benefits, raises fundamental questions over whether society really desires a transformed, technologically-mediated relation between teacher and learner” (2012, p.1). Further, Livingstone advises there is little doubt in her mind that society’s main motivation for students’ use of digital devices hinges on the potential benefits it offers education. In noting some of the considerable challenges that face educators’ integration of technology enhanced teaching and learning (TETL), her observations of disparity and differential use of TETL mirror my own throughout my career. Her observation that “child-oriented digital creativity” (p.13) is only evident among a minority of students, as well as her call for more equality in this regard, reflect concerns and issues that Selwyn (2012) brings forward. In this sense, my experiences, research, and writing share a fundamental connection to their work, in that they recognize that the disparate and unequal use of TETL is a fundamental concern. My ambition is to continue to gain a better understanding of how and why some educators are making use of TETL, in spite of existing challenges; my work reflects a desire to take the research focus and staff room conversation beyond what Selwyn regards as a techno-centric, and limited, focus on the notion of barriers and impediments…this is just a snippet of the type of content found in my new book. e-Book & Hard-Copy Now Available For Order!